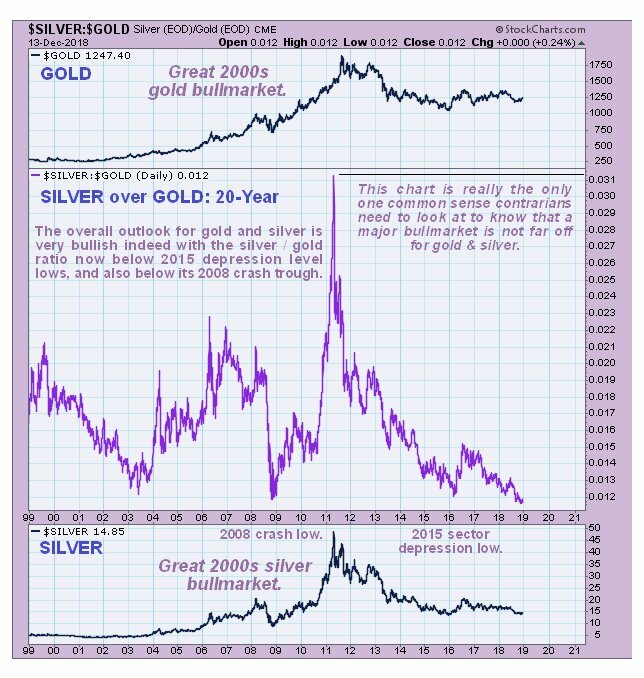 Silver is now very cheap compared to gold (as is platinum) and recently hit a 24-year low reading as can be seen on the latest chart for the silver to gold ratio shown below, which means two things – one it is very good value relative to gold, and the other is that this kind of extreme normally occurs ahead of a major new sector bullmarket. 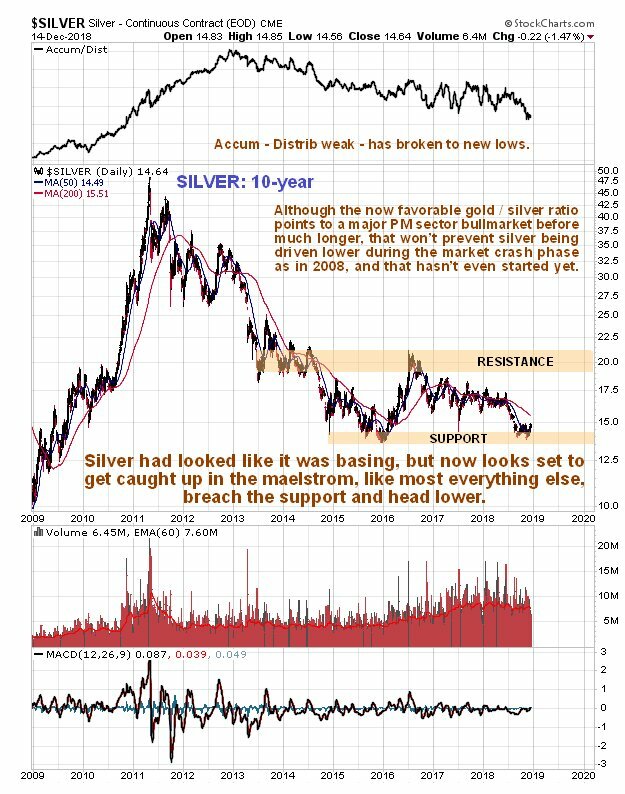 Silver is also cheap relative to its average AISC (all-in sustaining cost of production) which implies a shortage down the road and much higher prices. However, the above very bullish factors won’t necessarily stop it being dragged down lower still for a while during a market crash. In the parallel Gold Market update we have looked at the likely outcome of next week’s Fed meeting and its impact on the dollar, which will affect silver as much as gold. On silver’s latest 6-month chart we can see that last week it made a rather feeble attempt to break above the resistance at the top of its trading range, a range that has been building out since the September low. The attempt failed, with it starting to drop back on Friday and it now looks set to drop back initially to the lower boundary of this range again. 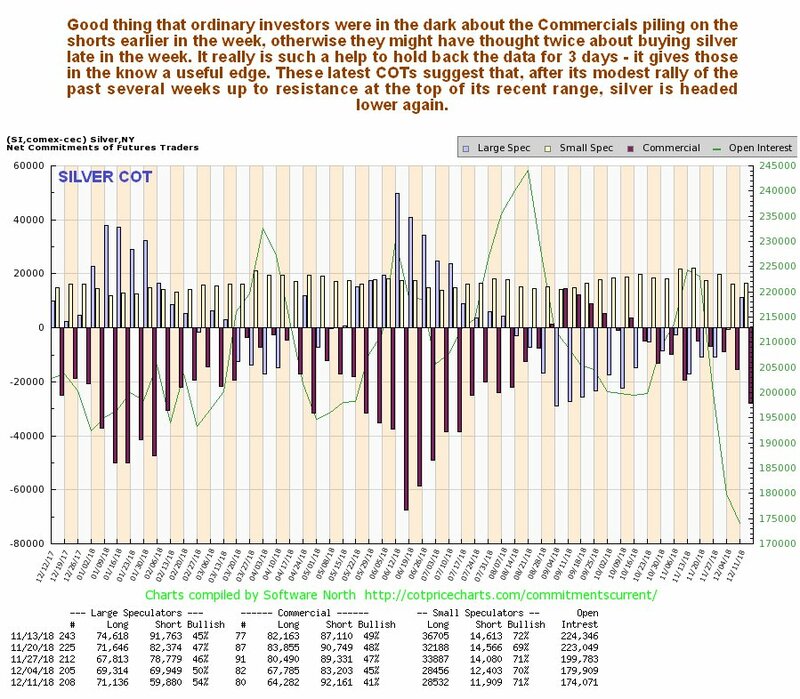 Anyone privy to the latest COT data ahead of the crowd, who get it 3 days later after it has been bounced off a satellite orbiting Uranus, would have known that silver would drop back from the resistance at the top of the range again, because over the past 2 weeks, and especially the past week, the Commercials piled on the shorts again, as we can see on the latest chart below. Silver’s COTs had been supportive, but have deteriorated significantly over the past several weeks, opening up downside risk again. 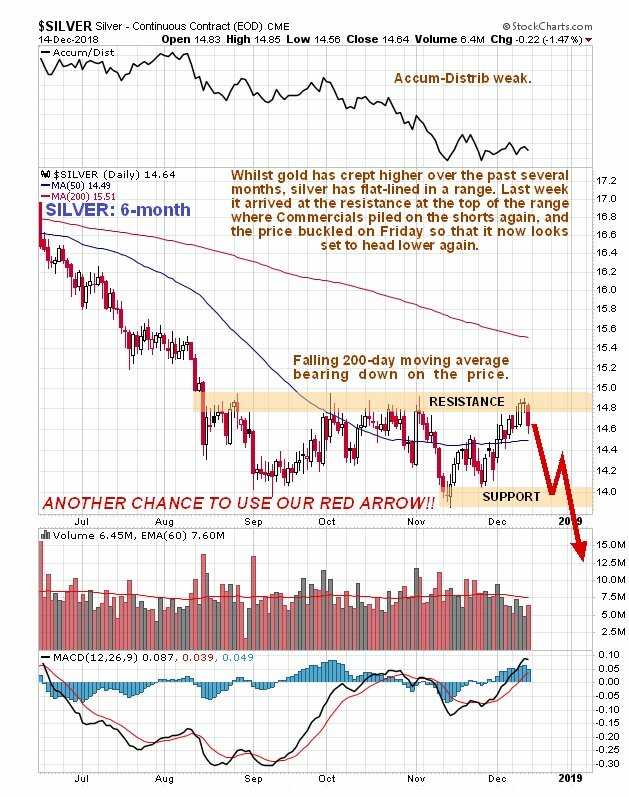 Silver’s long-term 10-year chart now looks weak, with it looking set to crash the support at the late 2015 – early 2016 lows, which it has been perched just above for the past several months, and head lower, perhaps as low as about $10, which we would expect to occur against the background of a widespread heavy selloff across the commodity sector and stockmarkets. Needless to say, if it winds up at such a silly level, it will be a very strong buy. The falling 200-day moving average is bearing down on the price from above and the Accumulation line is weak, having recently broken to new lows.